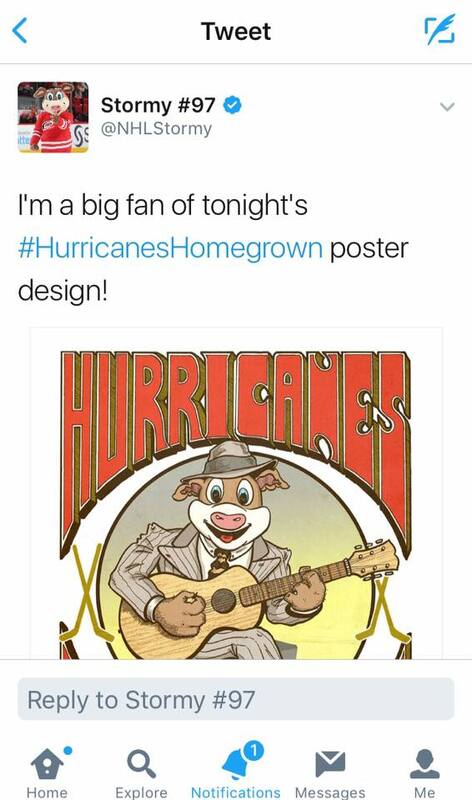 I was 1 of 6 North Carolina artists commissioned to design a poster for the Carolina Hurricanes' Homegrown Series 2016-2017. These posters were given out to the first 1000 fans at select home games. 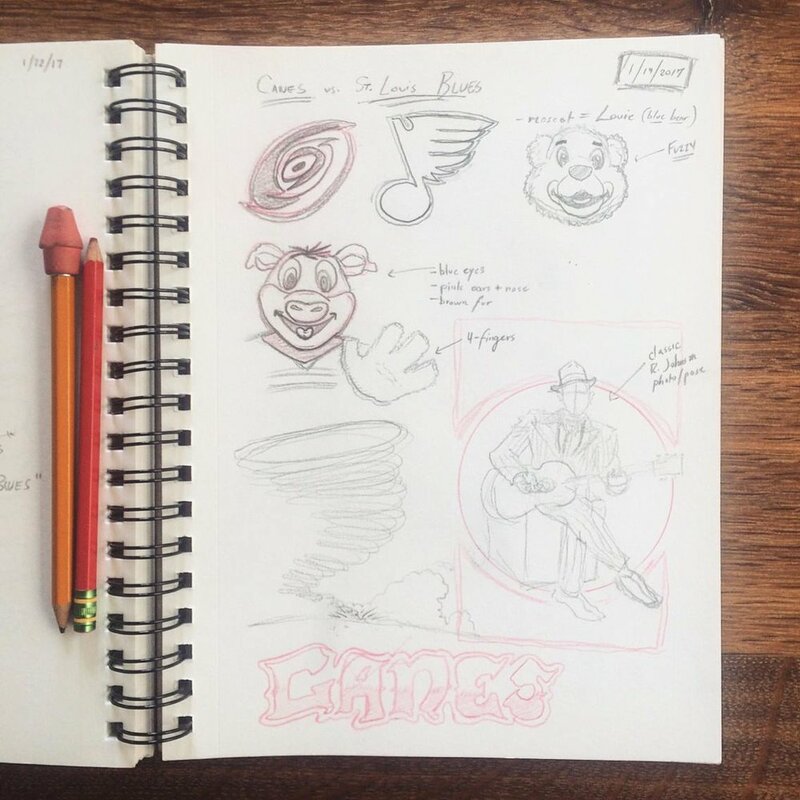 To top things off I was 1 of 2 artists invited back to do a second poster. 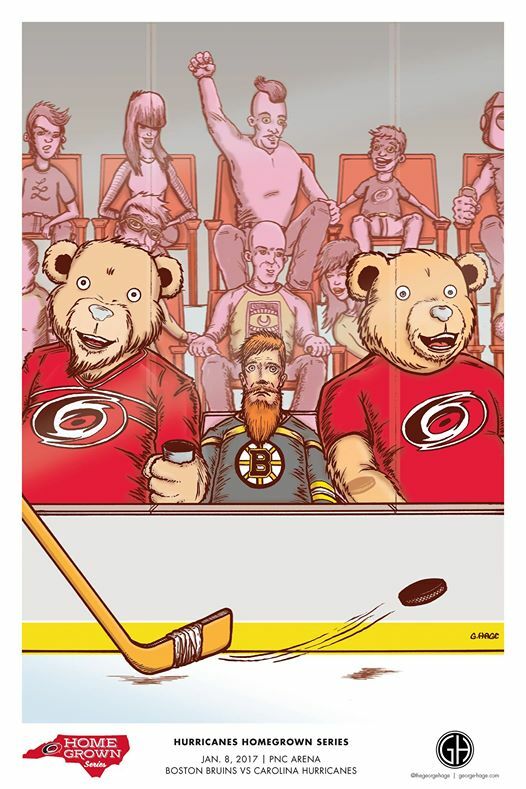 The first poster was done for the Canes vs Bruins game and features a Bruins fan sitting uncomfortably between two converted Bruins Bears wearing Canes shirts. 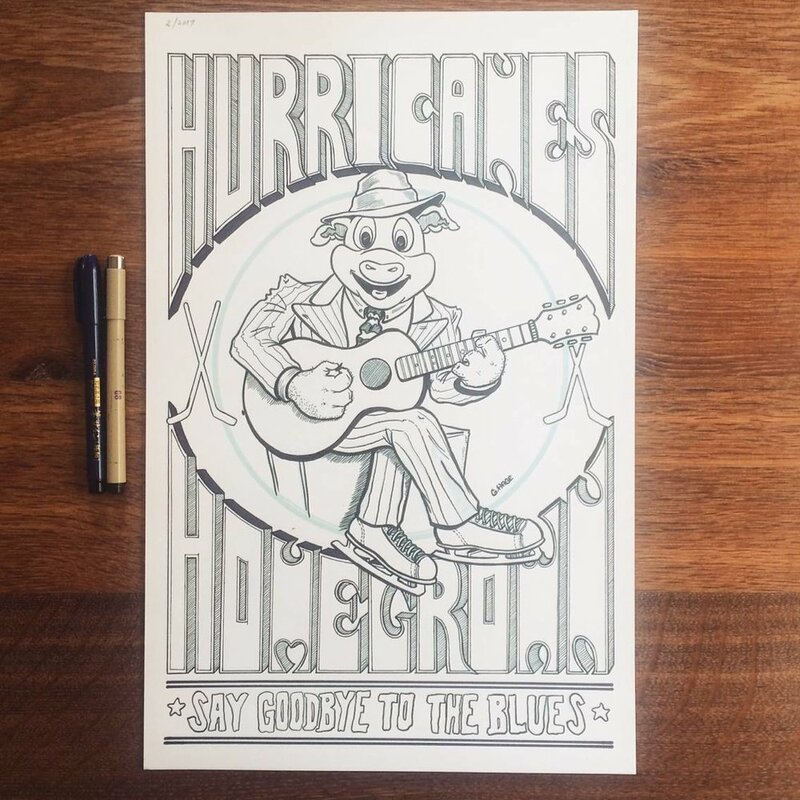 The second poster was done for the Canes vs Blues game and features Canes' mascot, Stormy in the classic Robert Johnson pose saying goodbye to the "Blues" in vintage ice skates. 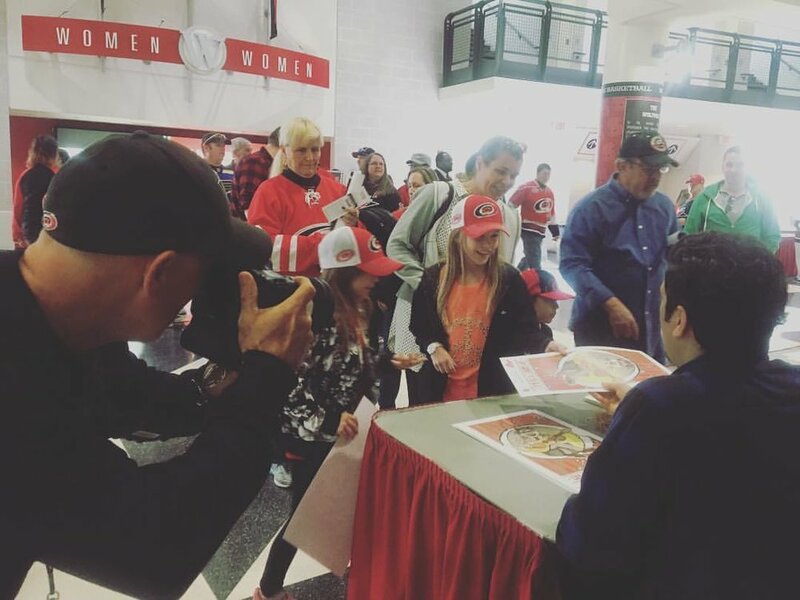 These were truly a pleasure to work on and I was humbled by the wonderful fans at both games.